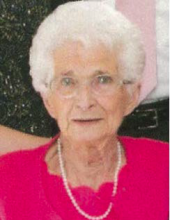 DENEHY, MARY L. (Johnson) of Norwood passed away on February 8, 2019 at the age of 90. Beloved wife of the late Francis D. Denehy. Devoted mother of Daniel F. Denehy and his wife Sandra of Canton, Kathleen M. Bergman and her husband Steven of Marshfield, Patricia A. Rodham of Marshfield, William F. Denehy and his wife Patricia of FL, Timothy D. Denehy and his wife Karen of Norwood, Francis D. Denehy and his wife Donna of E. Walpole, Lawrence Denehy and Birgitta Carr of Foxboro and the late Thomas M. Denehy. Mother-in-law of Cheryl Denehy of NY. Sister of Grace Kynock of FL. Cherished grandmother of 22 grandchildren and 27 great grandchildren. Daughter of the late David and Mary (Anastatia) Johnson. Funeral from the Kraw-Kornack Funeral Home 1248 Washington St. Norwood, Tuesday February 12, 2019 at 9:00am followed by a funeral mass at 11am at St. Catherine of Siena Church Norwood. Visiting hours will be held on Tuesday, February 12, 2019 from 9-10:30am. At the request of the family burial will be private. In lieu of flowers donations may be made in her name to St. Jude Children’s Research Hospital 501 St. Jude Place Memphis, TN 38105-9959. To plant a tree in memory of Mary L. (Johnson) Denehy, please visit our Tribute Store. "Email Address" would like to share the life celebration of Mary L. (Johnson) Denehy. Click on the "link" to go to share a favorite memory or leave a condolence message for the family.